It was a long, frustrating and excruciating wait for Ghanaians just to be able to lay claim to a world champion. Eight years it took, and then the brilliant Isaac Dogboe answered every Ghanaian’s prayer in April last year by claiming the WBO Super Bantamweight title, only for the crown to be painfully snatched away eight months later. 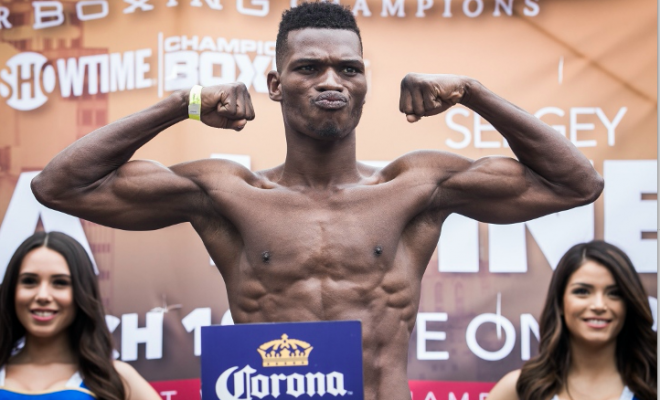 Alexander Graham Bell famously said; when one door shuts, another opens, and the boxing gods have presented Ghana with yet another opportunity to shine – not through Dogboe this time, but lightweight boxer Richard Commey. A man carved out of the boxing heart of Ghana, Bukom, it would be an understatement to say Commey has paid his dues in this sport. Boxing lovers and fans of the sport have watched in amazement as the humble lad has grown steadily over the years, and truth be told he more than deserves this opportunity. Commey is now just a few days, and perhaps 12 rounds away from becoming a National icon. 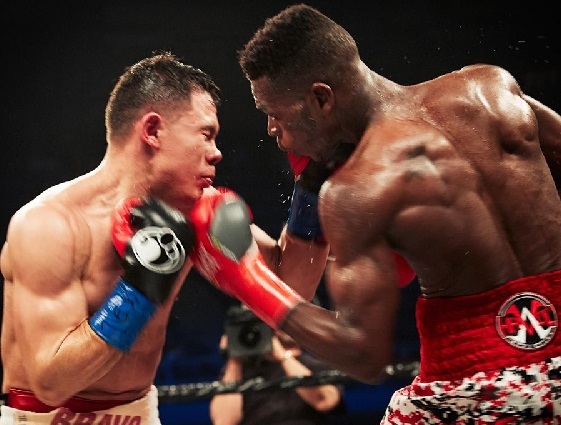 On February 2, 2019, Commey will take on Russian Isa Chaniev for the IBF World Lightweight title in far away Texas, USA, in what will be his second shot at the world title. They say experience is the best teacher, but that’s not always the case. This is especially difficult when one has to learn from the experience of defeat. Many sportsmen and women have been seen to choke at critical moments in their careers when scenarios of past defeats start playing back. Perfect example until recently was the English national team and their knack for messing up repeatedly in international competitions anytime they were thrown into the lottery of penalty shootouts. Sports Psychologist Don Greif, Ph.D puts it brilliantly in his book, The Thrill of Victory and the Lessons of Defeat, saying “Failure can be a great teacher. Psychologists have found that learning requires recognizing, analyzing and fixing one’s mistakes. However, athletes who are busy saving face after a loss may miss the opportunity to examine their failure and use what they learn to improve. When it comes to failure, we might say that the only thing to fear is failing to learn from failure. After two successive losses at the tail end of 2016, the first, a heart breaking split decision loss to American Robert Easter Jnr for the then vacant IBF Lightweight World title, despite scoring a flash knockdown in the eighth, and then another split decision loss a few months later, this time in very controversial fashion against Russian Denis Shafikov, Commey will have to show incredible mental toughness to overcome Chaniev. Commey will have two enemies on the night to overcome; the memory of his past loss at this stage, and Chaniev. He has slowly recovered from that slump though, winning his last three bouts, including an impressive TKO victory against American Alejandro Luna. Commey has the height and reach advantage against the 5’7’’ Russian, and in terms of experience, Commey also has the advantage of some sorts, as this will be Chaniev’s first shot at the title. But Commey will have to be wary of the technical skill of the Russian. Chaniev is not the hardest puncher, (43%. KO record) but the Russian has proven to be quite a solid technical boxer with, sheer grit and stamina his strongest assets. Five of his last six bouts have gone the distance – four resulting in wins. 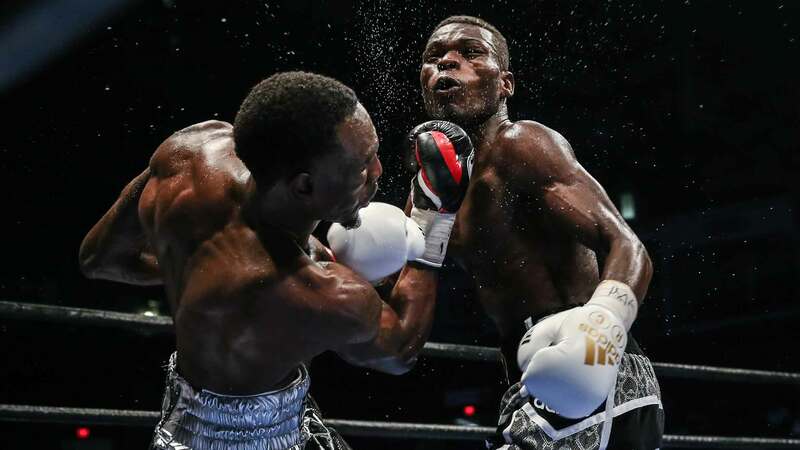 Nonetheless, Commey has gained immense experience over the years, and after signing with legendary promoter Lou DiBella, the Ghanaian has been training under renowned American trainer Andre Rozier, and is feeling the influence of the American ahead of the bout. ”Working alongside these fighters and under the guidance of an excellent trainer has helped me become a more complete fighter and I will show that on February 2,” he told Boxingscene.com. It’s undoubtedly going to be tough for the Ghanaian, both physically and mentally, but if anyone has showcased fight and resilience in their career, it’s Commey.